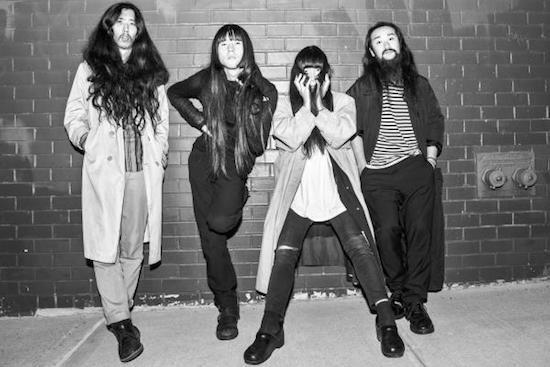 Bo Ningen will headline the inaugural edition of WRONG Festival on April 22, taking place across three venues in Liverpool’s Docklands. The festival, billed by organisers and record label Loner Noise as ‘A festival for the Freakscene’, takes place across venues The Invisible Wind Factory, the recently opened North Shore Troubadour and Drop the Dumbulls. The Japan-born band will also be joined by heavy psych-rockers Bonnacons Of Doom, local noise stalwarts Jazzhands and new wave-inspired Leeds outfit Cowtown, along with Skinny Girl Diet, False Advertising, SPQR, Gravves, Pocket Apocalypse and Duke Mercury. Already on the bill for the one-day event are The Wytches, The Cosmic Dead, Heck, Part Chimp, Blacklisters and Elevant, with more acts to be announced. Tickets are available now from Skiddle, priced between £10 and £15.